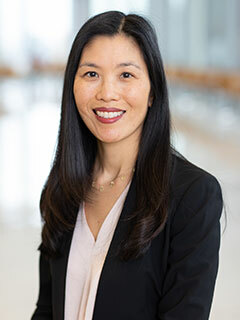 Led by Stella Chou, MD, researchers in the Chou Laboratory are studying the molecular mechanisms of leukemia and other hematologic abnormalities in children with Down syndrome. The long-term goal of the work in this laboratory is to understand the contribution of trisomy 21 to the predisposition of children with Down syndrome to develop two related leukemias; transient myeloproliferative disease (TMD) and acute megakaryoblastic leukemia (AMKL). Functional analysis and transcriptome profiling of iPSC-derived macrophages and their application in modeling mendelian disease. Circ Res. 2015 Jun 19;117(1):17-28. Zhang H , Xue C , Shah R , Bermingham K , Hinkle CC , Li W , Rodrigues A , Tabita-Martinez J , Millar JS , Cuchel M , Pashos EE , Liu Y , Yan R , Yang W, Gosai SJ , VanDorn D , Chou ST , Gregory BD , Morrisey EE , Li M , Rader DJ , Reilly MP. RHCE*ceAG (254C>G, 85Gly) is prevalent in Blacks, encodes a partial ce-phenotype, and is associated with discordant RHD zygosity. Transfusion. 2015 Nov;55(11):2624-32. Westhoff CM, Vege S, Halter Hipsky C, Horn T, Hue-Roye K, Keller J, Velliquette R, Lomas-Francis C, Chou ST, Reid ME. Inducible Gata1 suppression expands megakaryocyte-erythroid progenitors from embryonic stem cells. J Clin Invest. 2015 Jun;125(6):2369-74. Noh JY, Gandre-Babbe S, Wang Y, Hayes V, Yao Y, Gadue P, Sullivan SK, Chou ST, Machlus KR, Italiano JE Jr, Kyba M, Finkelstein D, Ulirsch JC, Sankaran VG, French DL, Poncz M, Weiss MJ.